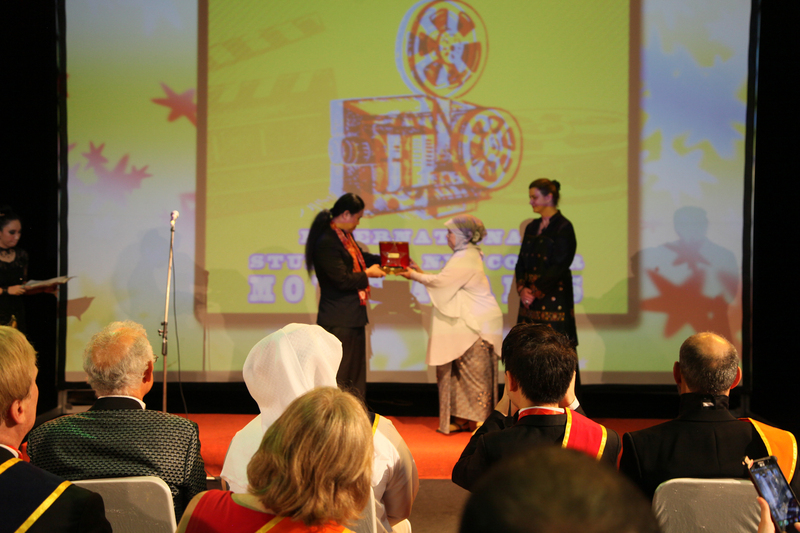 (11/23/15) Best Film of International Students and Newcomer Movie Award was announced today in Jakarta. International Students and Newcomer is an international film festivals that focuses on movies made by students and newcomer—beginners in the film industry. Best Film goes to Made of Stone (De Piedra) directed by Sebastian Olivari from Chile. Made of Stone tells a story about a man who play mime in the street and fall in love with a beautiful and mysterious woman. This film competed hard with Stolen Path directed by John Banovich and Bangkok in Motion directed by Jimmie Wing. Stolen Path itself tells a story about a forbidden love between two people from two different backgrounds. The juries of the festival said that they chose Made of Stone because this movie is very artistic with a unique love sparks in it and also this is the first film directed by Sebastian Olivari who’s before known as a production designer. Virda Ang from the selection board said “I hope this festival will motivate filmmakers who's still very new in the film industry and could become a stepping stone for the newcomer to produce inspiring work and good quality films." This festival works together with other International Festivals like Filmmakers Of The Year Film Festival (FOTY), International Film Festival for Documentary, Short and Comedy (IFFDSC), International Performing Arts and Movie Awards (IPAMA) and was held by People’s Creative Council, iHebat International Volunteers, The University of Indonesia, Care for Children Foundation, World Film Council, several High Schools and Radio Republic of Indonesia (RRI) as media partner and organiser.